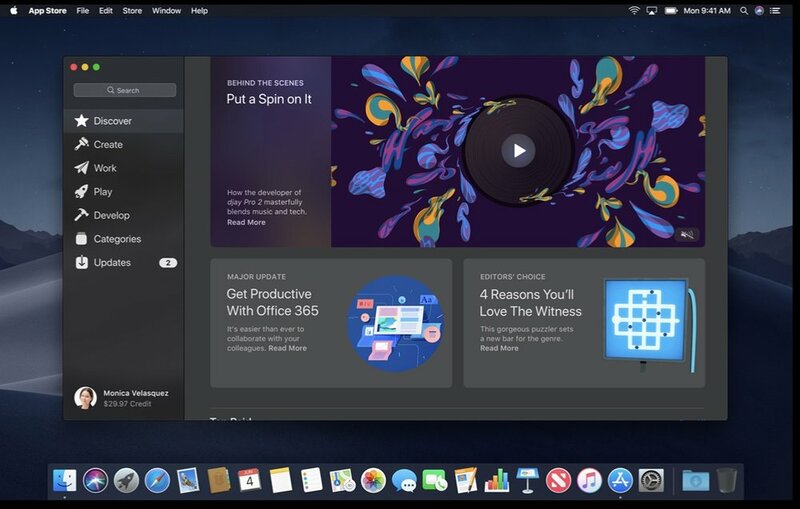 Alongside the announcement of macOS Mojave at the WWDC keynote, Apple previewed an all-new Mac App Store featuring a new look and rich editorial content deigned to make it easier to find Mac apps. Like the iOS App Store, which was redesigned last year, the new Mac App Store celebrates apps, games and developers with an all-new Discover tab featuring stories, in-depth interviews, helpful tips, collections of “must-have” apps, and more. Users can also explore new Create, Work, Play and Develop tabs to find the perfect app for a specific project or purpose — from music, video and photography apps to business utilities and games. The Mac App Store already offers the largest catalog of Mac apps and is available in 155 countries. Apps coming soon include Office from Microsoft, Lightroom CC from Adobe, BBEdit from Bare Bones, Transmit from Panic, Live Studio from Snap Inc. and Houseparty, among others. With the new Discover tab, each week users can find in-depth editorial about the best Mac Apps (as determined by Apple)Nthrough stories and collections and see what’s most popular with top charts. For the first time, videos that autoplay will provide users with dynamic app previews. Create, Work, Play and Develop tabs provide recommendations and expertise about apps within each of these themes. The new Mac App Store will be available with macOS Mojave this fall.